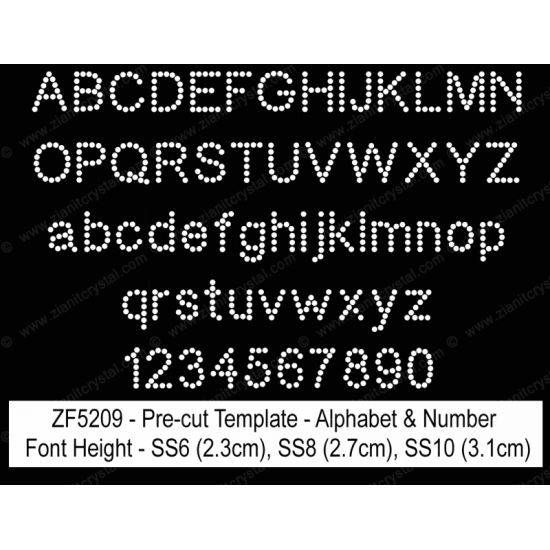 ZF5209 rhinestone font template set will include full uppercase, lowercase alphabet and numbers template as shown in the picture. You will receive 1 template of every characters or 62 pieces of individual template characters. You may use Swarovski, Preciosa and any other brands of Hotfix Crystals.